There I was screaming on my Radio show the moment it happened. I was absolutely sure He would bring it home, was just wondering whether it would be one or two. Since morning I, like a lot of other singers have been deluged with calls for video and sound bytes from various Radio stations and News Channels. His winning two Oscar awards has put all the musicians and singers working with him on air expressing how we felt. Especially those from Chennai. As far as I know CNN IBN and NDTV have been featuring a lot of us from here. Rahman Sir was bound to bring it home, probably it was just a matter of time. And again, its just a matter of time before he wins the maximum in that too, the way he has established records with Indian awards of having set a record of winning the maximum, I know that's a fact with the Filmfare. This is definitely one of the beginning stages for the ear drums of the entire world as long as sir's music is concerned. Just about the beginning. one , do post a clipping of ur byte on rahman ! two, rahman is going to come away with two of these every year from now on ,there s no doubt. A nice tribute... short and sweet! Absolutely true. He sure is a genius!! I watched the entire Oscar show just looking forward to how ARR would make his appearance and what he would say to the world (I was sure he would win!) .. and I loved the way he ended with the praise/thanks to Lord .. as always.. so humble.. he deserves it and much more!!! JAi Ho indeed!!! Rahman Jai Ho! The Pied Piper of India has done it again... It was not an easy feat to bag the Oscars, Jai ho once again. We are thrilled and praying to God. Happy news and wishing him more success in his career and life. Chinmayee... You are part AR Rehman team. So you might be conveying your wishes directly. Please convey our wishes also. Only one man can fetch Oscars back to back and that is ARR. More than the award what a lovely performance of Jai Ho and O..Saya. Sir has made everyone feel refreshed!. You are so lucky to work in close quarters with him. 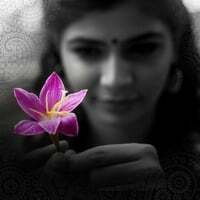 All the Best Chinmayi! Now, here is one guy who does not solicit any attention, but nevertheless gets it in abundance because he is good. Some people can learn a lot from him. Here in UAE, as soon as the news broke, one of the radio stations(www.radio4fm.com) RJ screamed,excited,cheered up which spread thro the airwaves and caught all the listeners as well. Rahman didn't fail to bring his sense of humor when he said about the other occasion he was exicited(his marriage). I am sure his mother might have been the happiest person to see her son's achievement. We all Indians,especially tamilians all over the world joins with you to congratulate Rahman. Chinmayi! You are very lucky and blessed to be part of his team...Whatever you said was absolutely true and that was indeed a proud moment for all of us. Well done ARR. The sounds that he plays with have made the people around the world take a note of him. I think ARR's odyssey to venture out to the other realms of music has started much earlier. This award is a recognition for the talent, genius and the humility in ARR. I wish him all the best for his future endeavours. This creativity and genius of ARR to come out with the best of sounds/notes/pitches need to have a wider canvas/theme from now on. All the best once again. Nice post by you. It is just indescribable the feeling when A.R's name was announced. Could not see anything for a moment with tears rolling down. Just feel lucky to be living in the same era, when A.R and Sachin parades their mastery all over. They resemble each other a lot, in their work and demeanor. Hope you will write a piece on A.R , your experience in his studio. I would dream to be a fly on his studio wall while he gives birth to his magic. The west has finally woken up to what they have missed all these years. Do they award non english movies in this category? Thank u so much Chinmayi 4 posting the info. He deserves this award not b'coz he composed a good number for SDM but he brought such a variety to the music thro' the years. He has composed so many good numbers / BGM and scaled new heights thro' hard work and dedication. Greatness of a person comes only when he displays modesty, humbleness and god fearing. He is Sachin Tendulkar of Music. We all are proud of what Rahman did and he is not meant for smaller things in life and he will be spoken for ever. Who can forget your good number in Kannathil Muthamithal. My son is so fond of this number of yours/rahman, will not toggle to any other channel when he spots this song on tv or FM. S chinmayee, u r rite, even i was sure he will bring in Oscars..He deserves it right..Jai Ho Rahman Ji..Even i came to ur blog to see what u have written up about Genius Rahmanji..
Share some of your unforgettable Incidents happened with the Maestro as a separate blog. Kudos to ARR .More than his talent,i like the way he handles his success.I admire the way he carries himself.Quite amazing stuff.Simple.humble,modest .He gains respect from the way he behave .I dont even have rights to talk about his talent as he is a LEGEND and i have zero knowledge about music . எ.ஆர் விருது பெறுவதைக் கண்டு மகிழ்ச்சியில் திக்குமுக்காடி போனவர்களுள் நானும் ஒருவன். hey.. nice blog u ve here.. n true! not just me bt my enthu rubbed off my parents too.. n they d been glued to the tv since morn watchin it happen live! u having worked with Him, must have obviously felt gr8, no doubt.. bt we.. the "aam junta".. who only feel His music, felt it just once again, as spoke out there to the world.. thru His music! what a day it had been! and wht a feeling! all that we bloggers can do is offer Him a tribute thru our posts.. I salute Him! nice post.. short and to the point.. keep writing! It is indeed a great moment. I felt a sense of indepth feeling when he said "ella pugalum iraibanuke" in the oscar arena. Wish more artists to make us all proud. WOW!!! It is very great that my fellow Indians have bagged the Oscar awards!I am really very happy for Rahman ji. He has made our country proud! I also take this opportunity to congratulate another Indian Mr.Pookutty for his achievement. Jai ho to both of you! Hey chinmayi,Was expecting this post from you 2 days back itself.We all knew for sure Rahman sir is going to SURELY win this Award...Rahman ji,definitely,is going to win more n more Oscar awards...Its just a beginning.love Rahman ....n lov chinmayi..
do you have the feed of the show.. It is really miracle that, it had been Oscar drought for India for a long time. It has been a real miracle that 3 Oscars to India. Especially twin magic to Rehman, indeed a rarest phenominal. What to say I am speechless and wordless. rahman was in our school!! What seemed only a dream all these years, now looks no big deal for us. in his earlier films. Perhaps, a number of factors have to come together which is what we call "God's Will/Destiny/Luck?/Whatsoever"
I hope, with these achievements, we guys get more to experiment at that level. The world has already seen Indian talent. With Rahman, Resool and Gulzar's feats, it has only opened gates for the Hollywood to look for subsequent assignments with the talent here. Double treat for all of us. There are very rare occasions like this that are so special - where when somebody wins an award, we take it as our own. With ARR - it has become our habit. Maybe even a matter of our right!!!! Reason being ARR has endeared himself to all of us with his strength of character and simple & humble demeanor. These OSCARS are a part of what has always been a long and endless list of ARR's accomplishments. JAI HO. yes... It is just a beginning!... What a proud moment for us!.. JAI HO!!! "Ella pugazhum oruvanukke - Rahman avargalukke"